The much-awaited annual interschool basketball twin tournament for kids, the SBP– Passerelle, is finally back for its 32nd season, kicking off at the Fr. Rafael Cortina Sports Center, Xavier School. This year, over 600 players from more than 150 schools nationwide will be competing for the coveted trophies of regional, as well as national, champions. The twin tournament started with fiercer and stronger play-offs between top schools in the NCR, with elimination games in each division played simultaneously. Gracing the opening is Philippine basketball legend, actor and BEST Center graduate Benjie Paras, who showed support for his son, Riley who is now playing for the De La Salle Greenhills team and followed the footsteps of his older brothers Andre and Kobe who were both alumni of BEST Center clinic and also played in the SBP-Passerelle twin tournament during their time. Elimination games are being held simultaneously throughout Luzon, the Visayas and Mindanao. Defending their championship titles this year are La Salle Greenhills in the SBP Division and Adamson University in the Passerelle Division. The SBP division is for players aged 9 to 11, while Passerelle division, conceived to act as a bridge between the SBP and the Juniors Division for players 18 and under, is for 12 to 14 year old. 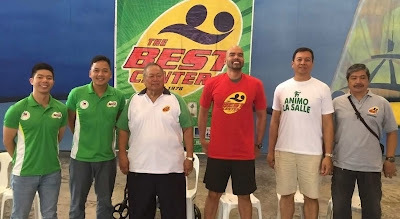 Organized by the Basketball Efficiency Scientific Training (BEST) Center, the country’s premiere sports clinic, 32nd SBP-Passerelle is supported by MILO in cooperation with Rain or Shine Elasto Paints, Chris Sports and SKLZ. It provides a venue for young cagers to apply what they learned from basketball trainings and showcase their skills. BEST Center is nationally renowned for its great contribution to sports development in the Philippines. Because of the clinic’s dedication to not only producing future champions but also promoting sports and physical fitness among kids, BEST Center is a recipient of the Philippine Sportswriters Association (PSA) Hall of Fame Award for Grassroots Development and cited for being a consistent breeding ground for young talents. It is the only corporate recipient of the Olympism Award from the Philippine Olympic Committee (POC).